Kirsten was first introduced to the dental industry in Port Macquarie as a dental assistant and receptionist in 2002. When relocating to the Newcastle area she pursued employment in the industry and commenced with our affiliated practice Newcastle Dental Laser Centre in 2003. Kirsten thoroughly enjoys all facets of her role as Practice Administrator and is thankful for the broad exposure to ongoing learning experiences. 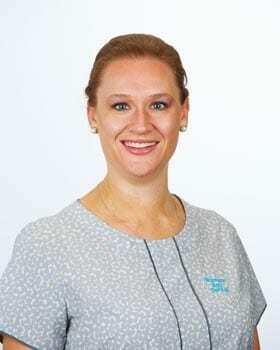 Since commencing with Warners Bay Dental, she has successfully completed a Diploma in Human Resources, Cert IV Frontline Management and Cert IV in Business Administration. Despite her current role in accounts and administration, Kirsten remains wholeheartedly patient orientated and is committed to consistently upholding the highest patient care. She describes the Warners Bay Dental team as her family away from home. Kirsten is the proud mother of two young children and enjoys embarking on the daily adventures which that role has blessed her with.